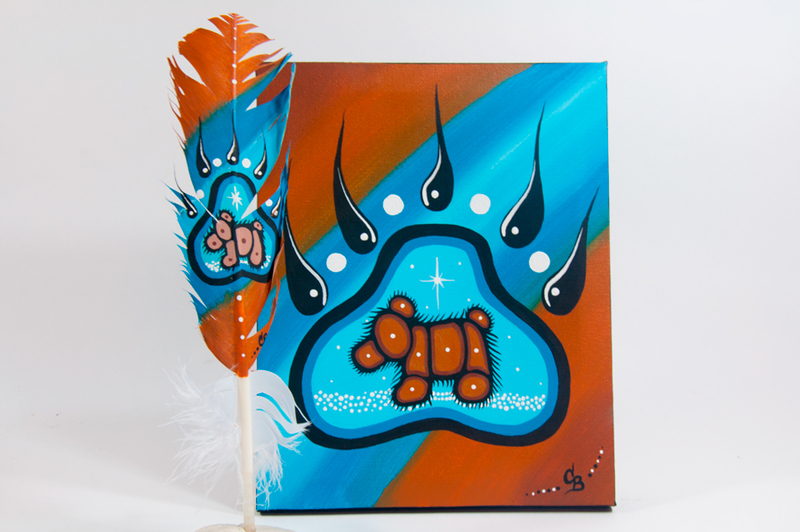 All proceeds go to the Aboriginal Arts Collective of Canada to support our Indigenous Arts Conference. 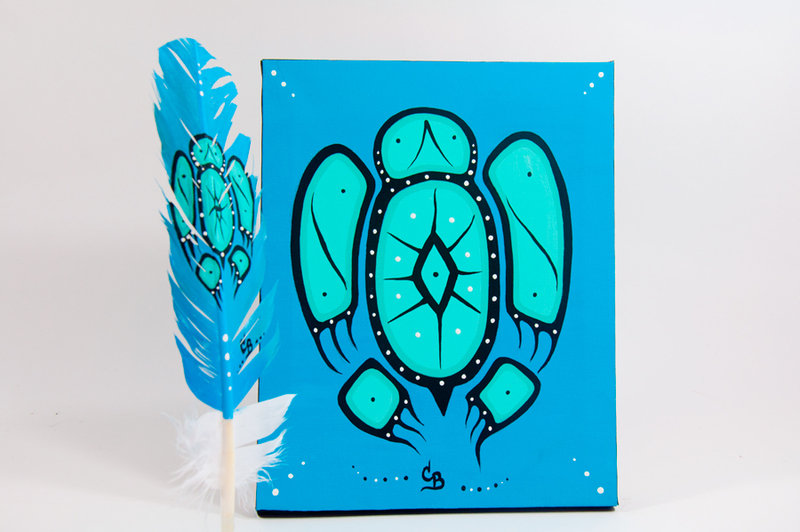 An event to [re] connect with our traditional arts regardless of logistics and finances.A space to learn from each other, to share with each other; empowering us to teach the next generation of Indigenous artists. 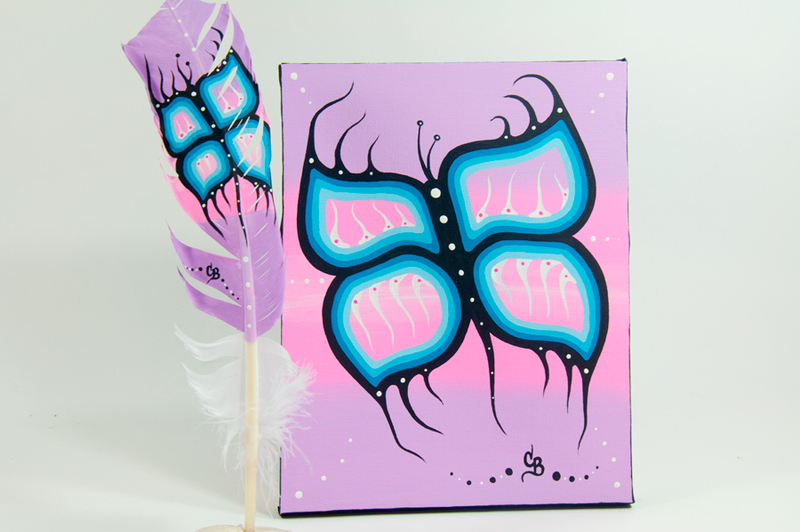 These painted feather and canvas sets are $190 each + shipping. 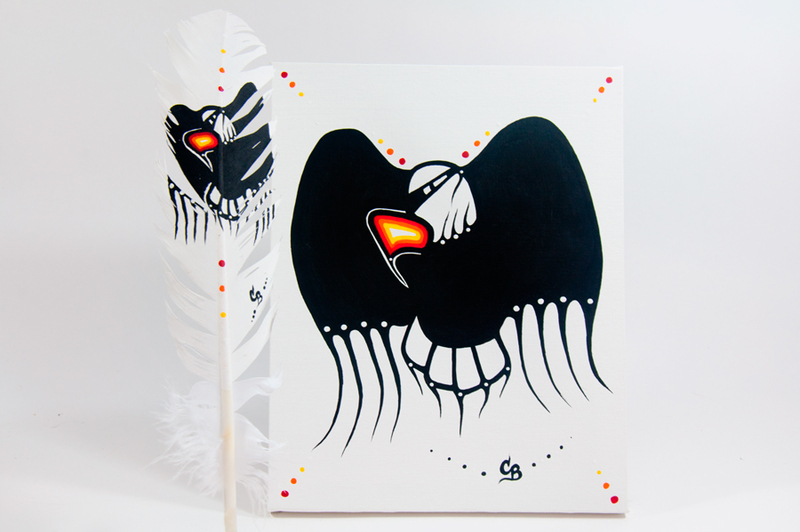 This gorgeous work is by artist Chelsea Brooks! 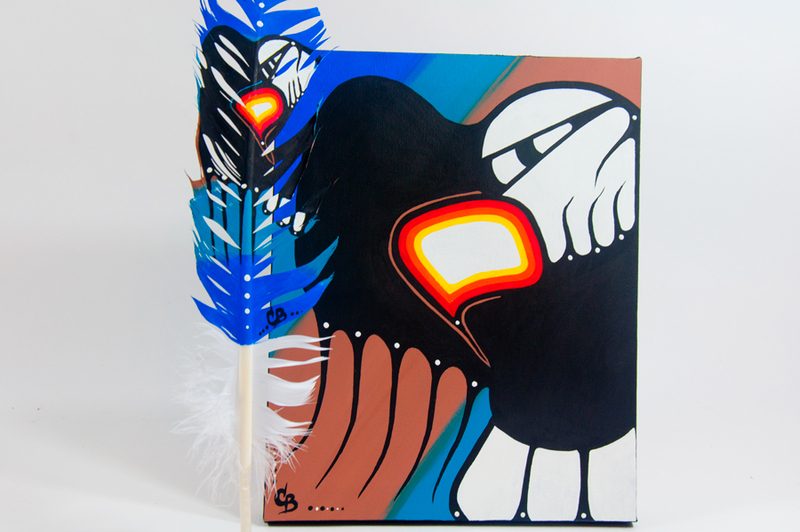 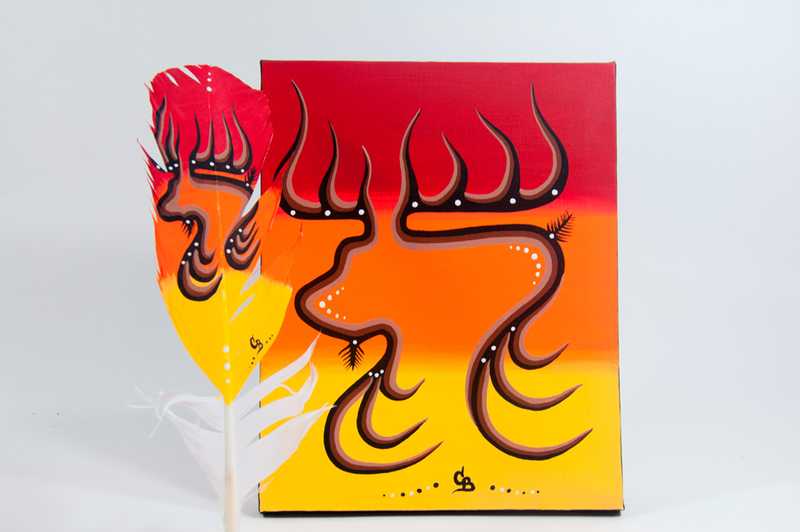 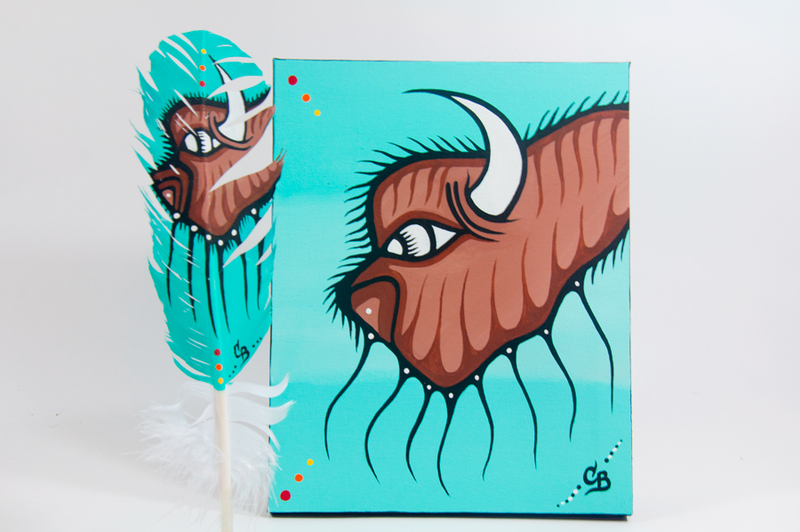 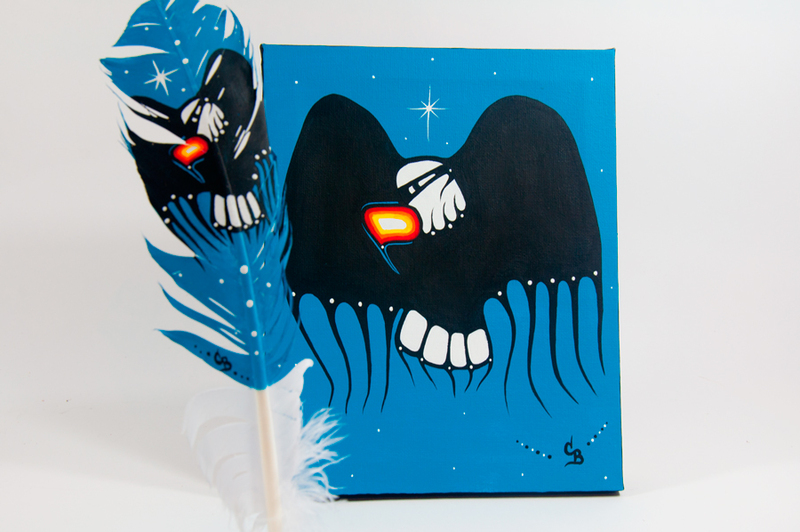 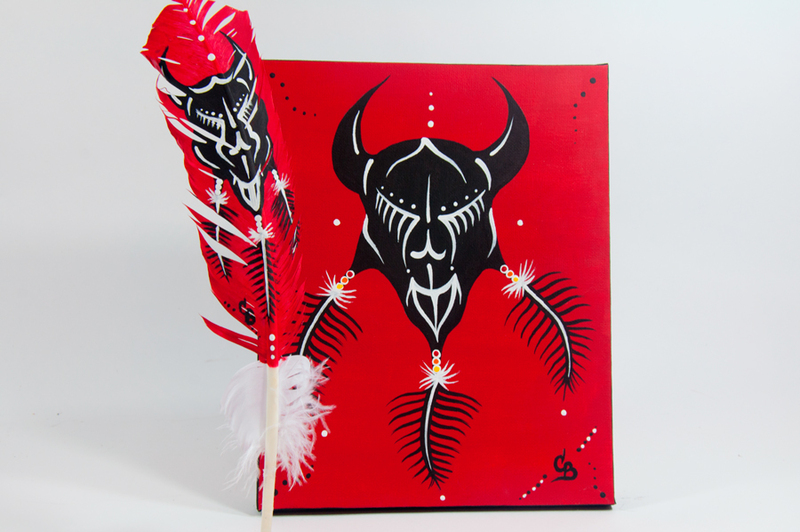 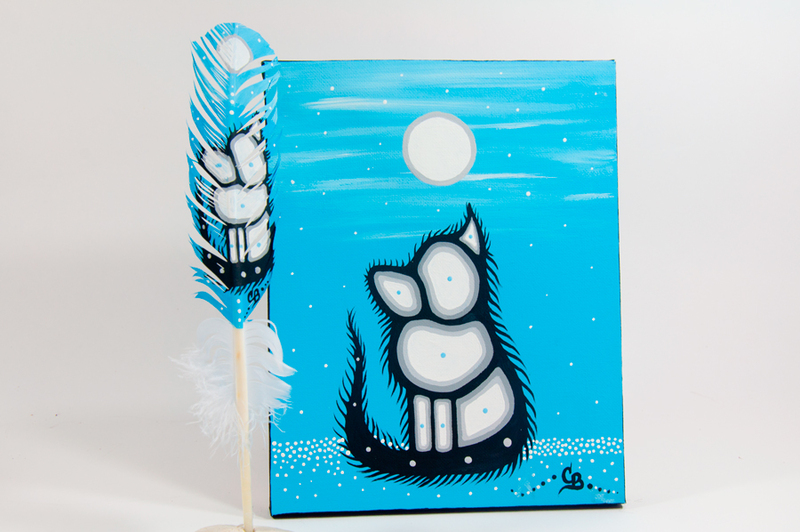 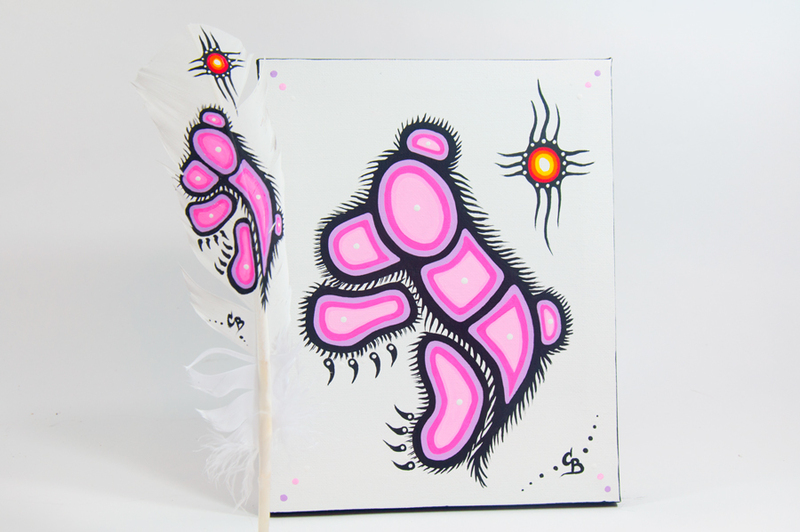 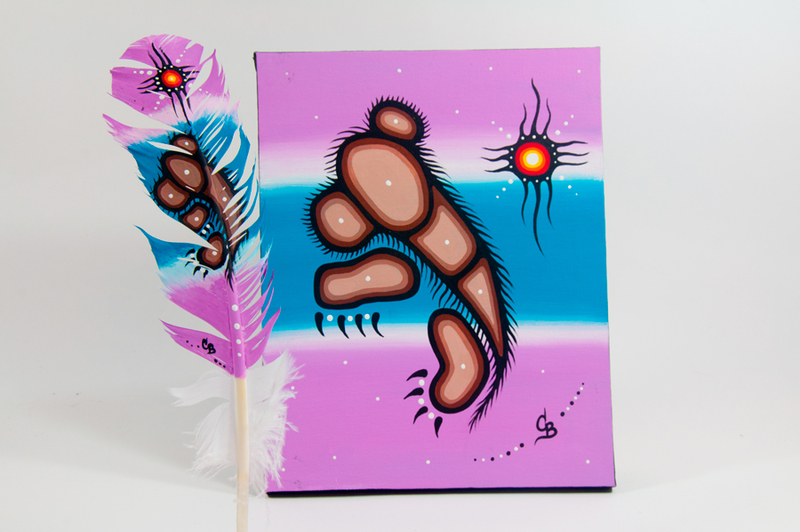 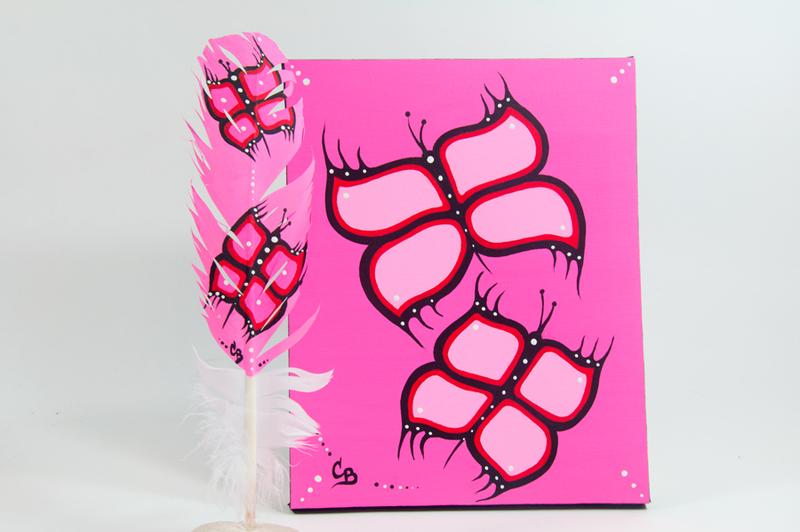 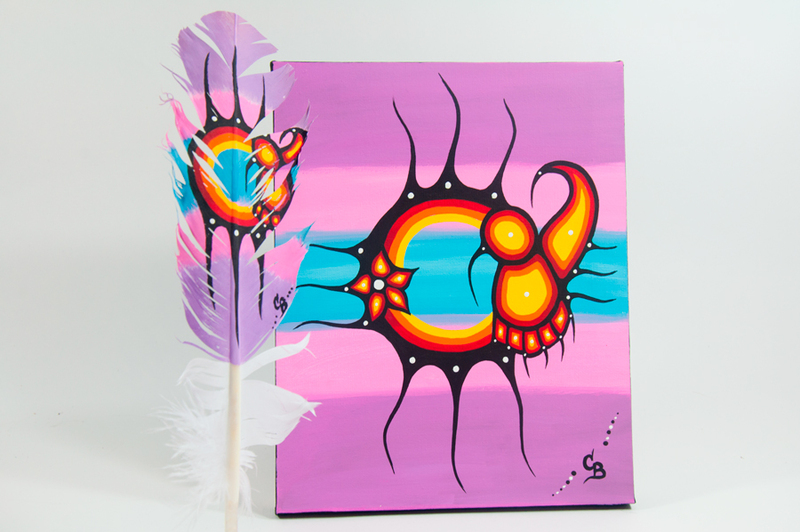 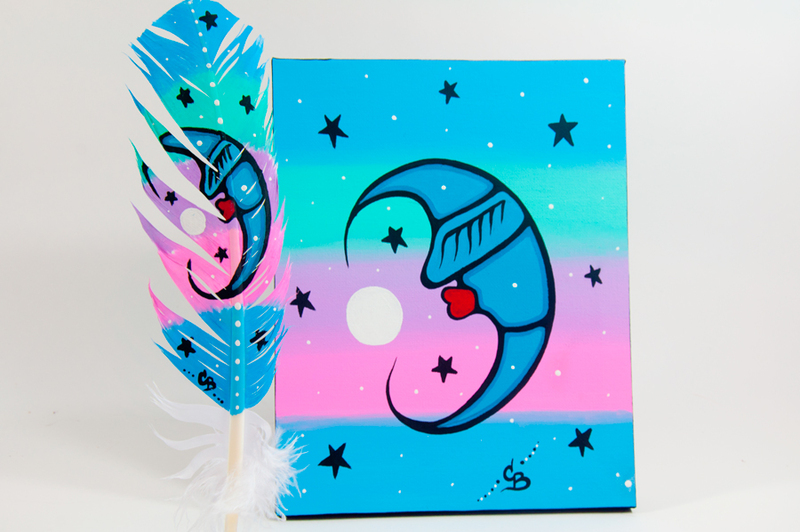 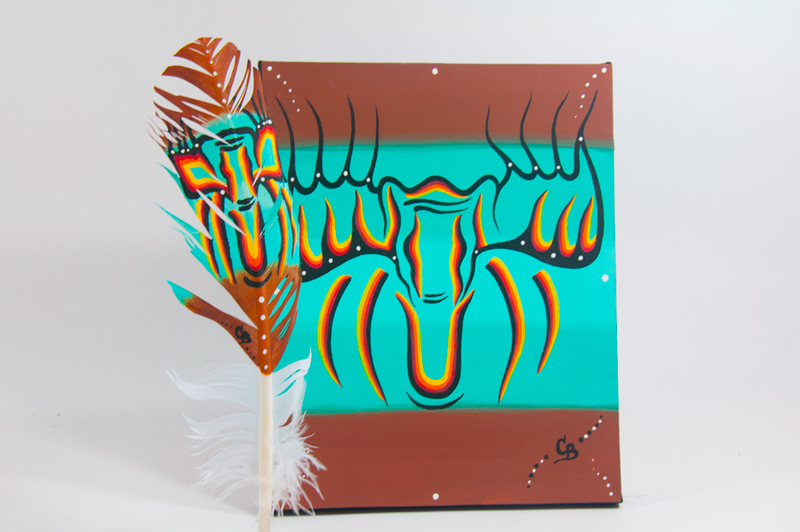 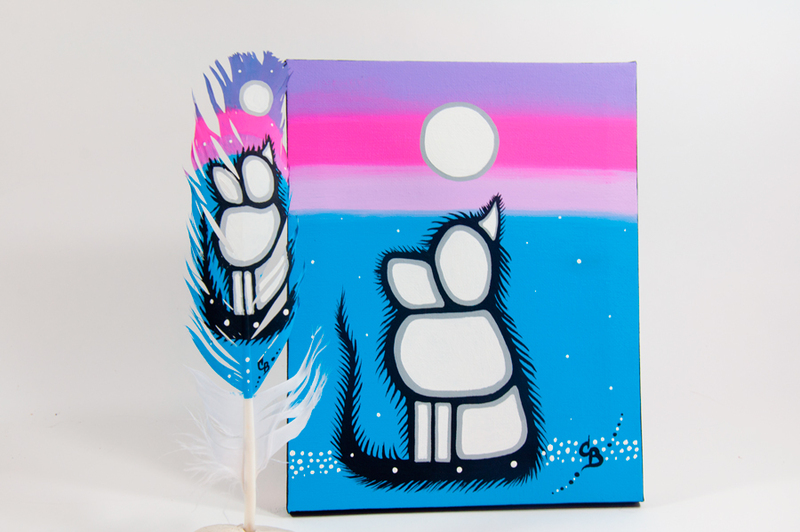 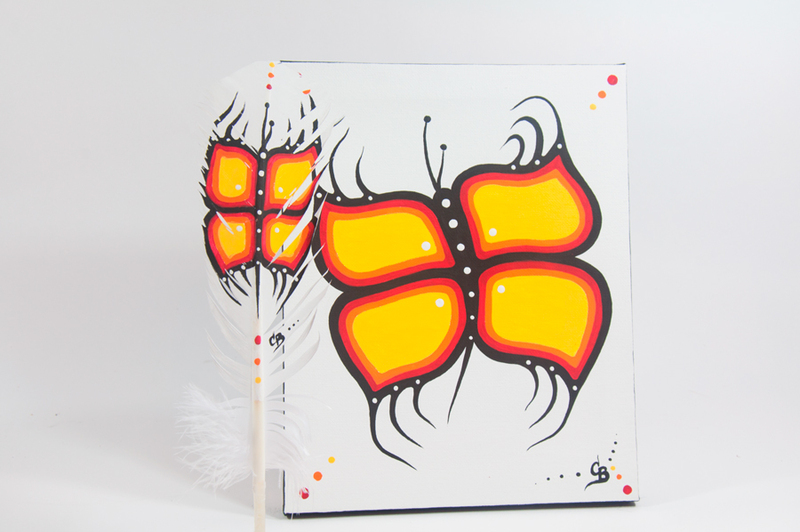 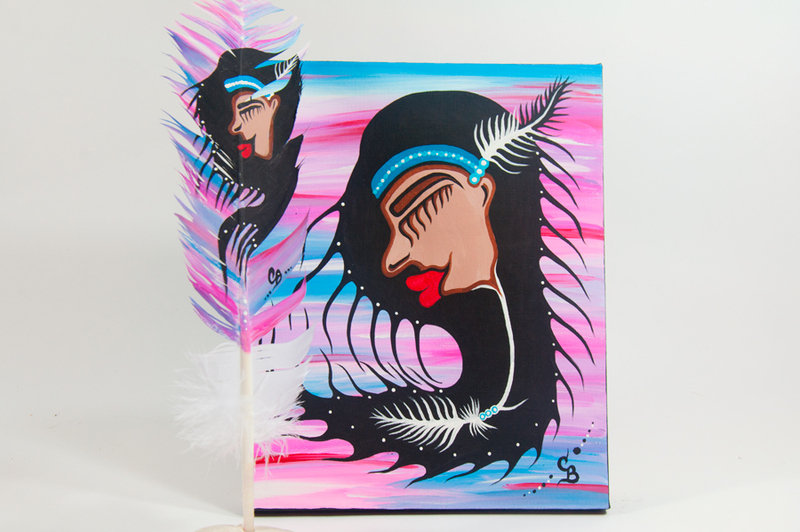 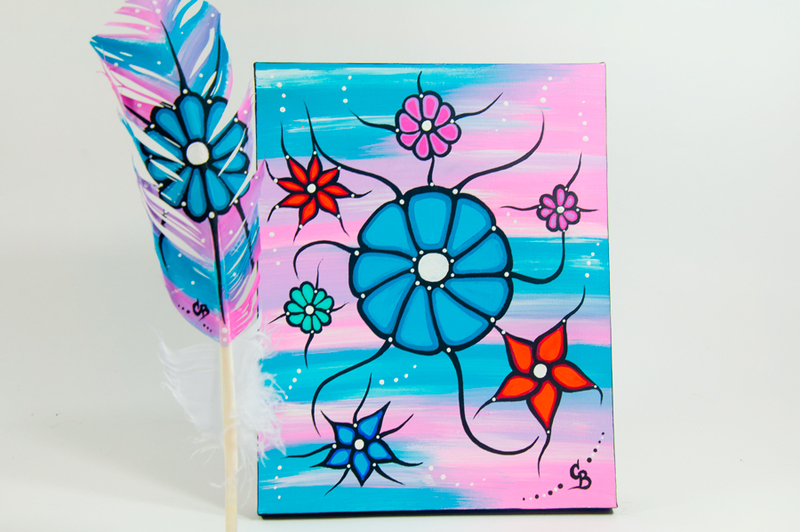 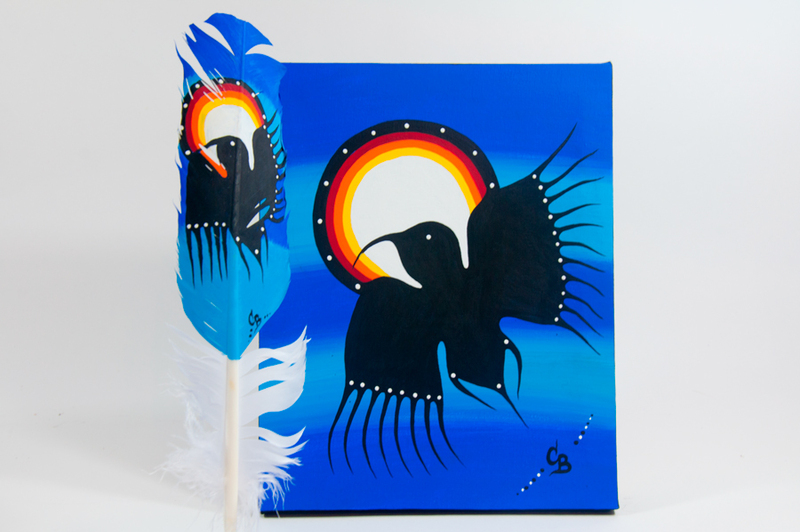 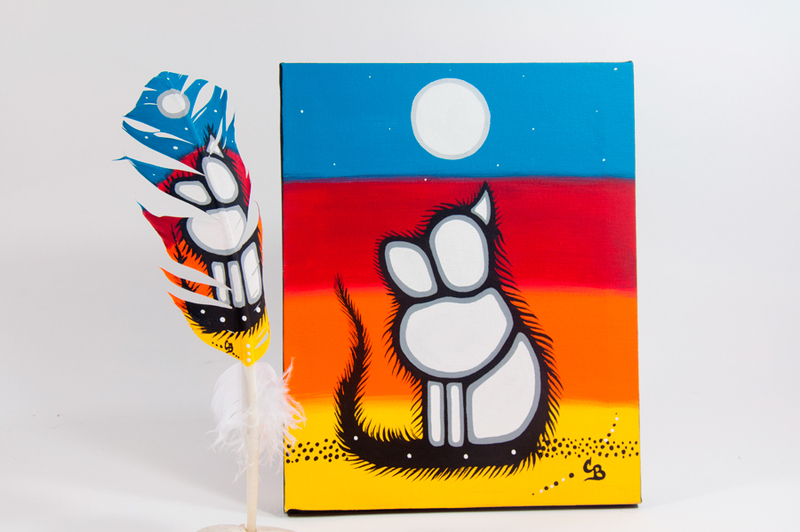 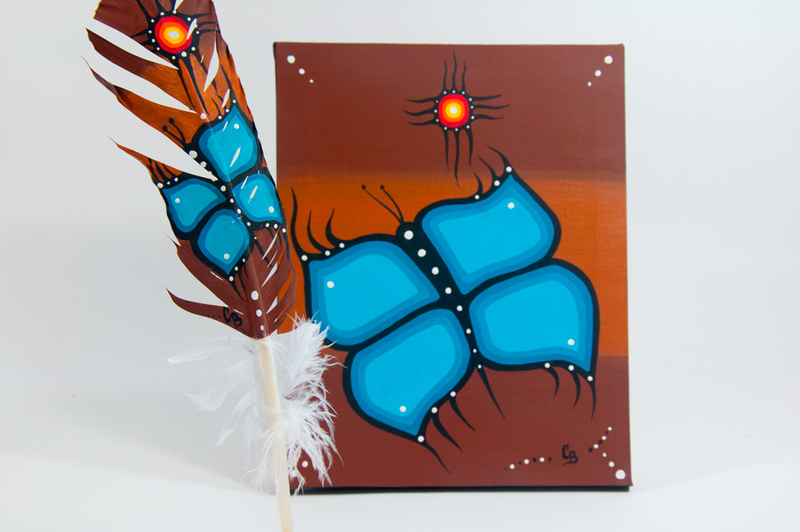 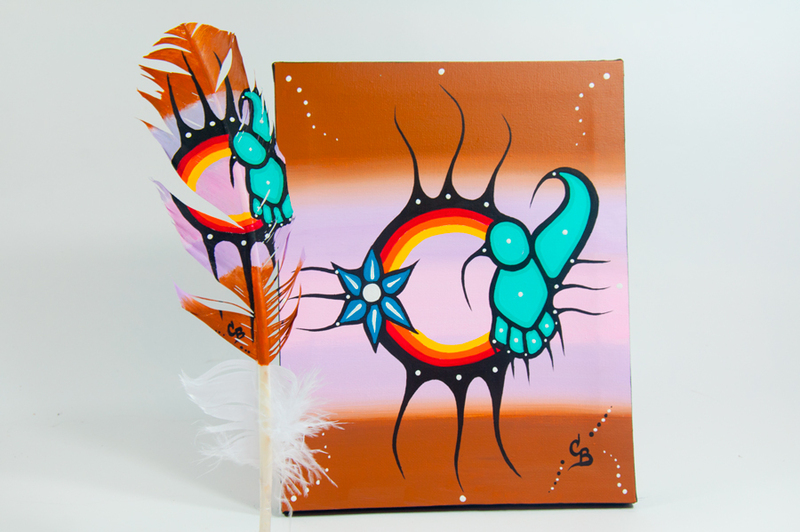 Bid on this 8″ x 10″ hand painted canvas and matching 11″ feather! 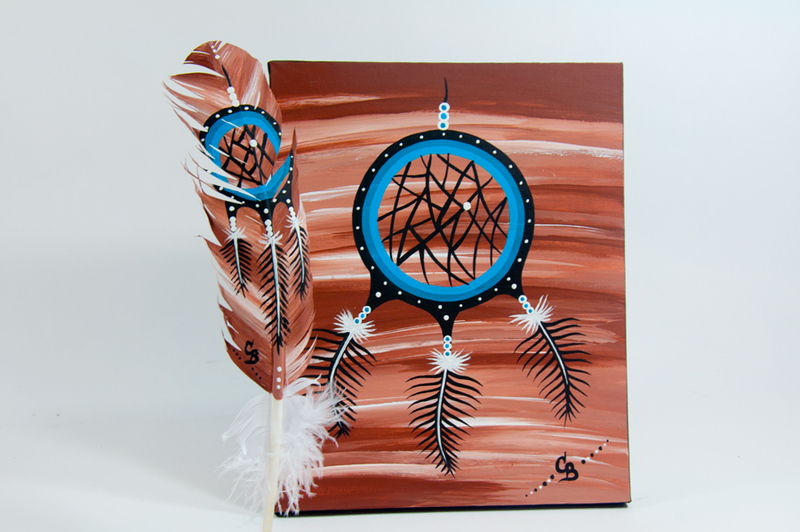 Price of set is $190.00 and shipping is included. 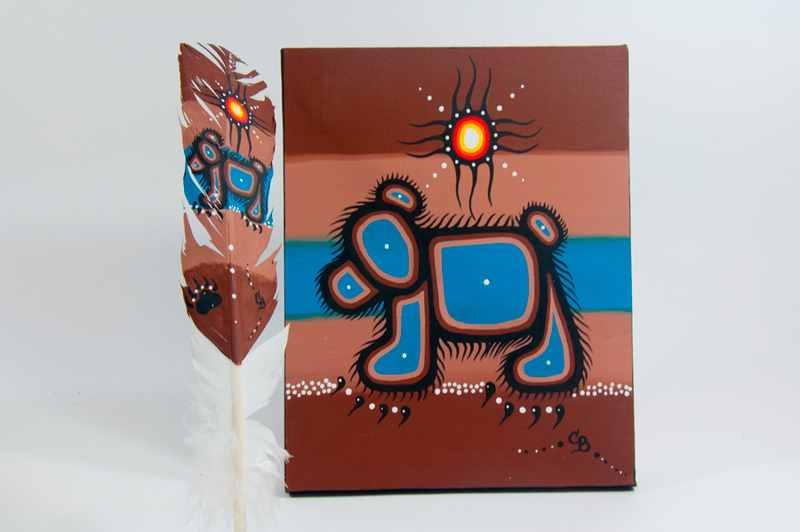 Keep an eye on our Facebook page for the on line auctions where you may be able to get one of these paintings for less! 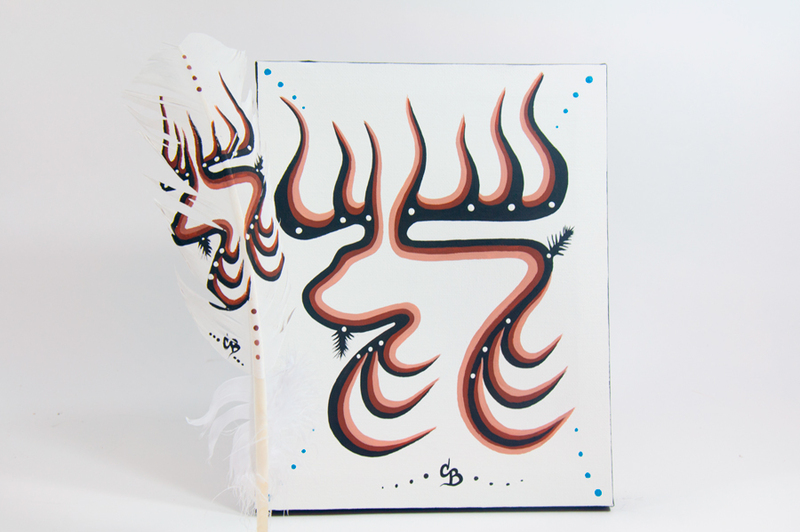 Click on any picture below to enlarge and just click the back button to return to this page. 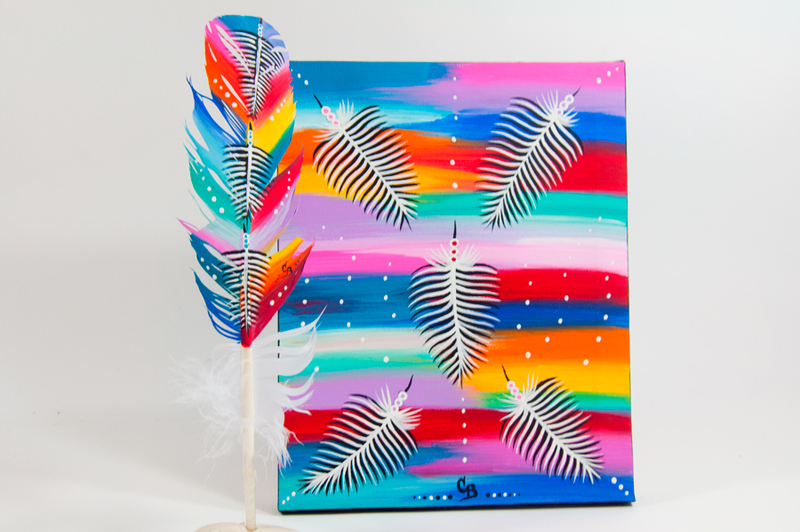 To order, write down the file number then email us at contact@passthefeather.org! 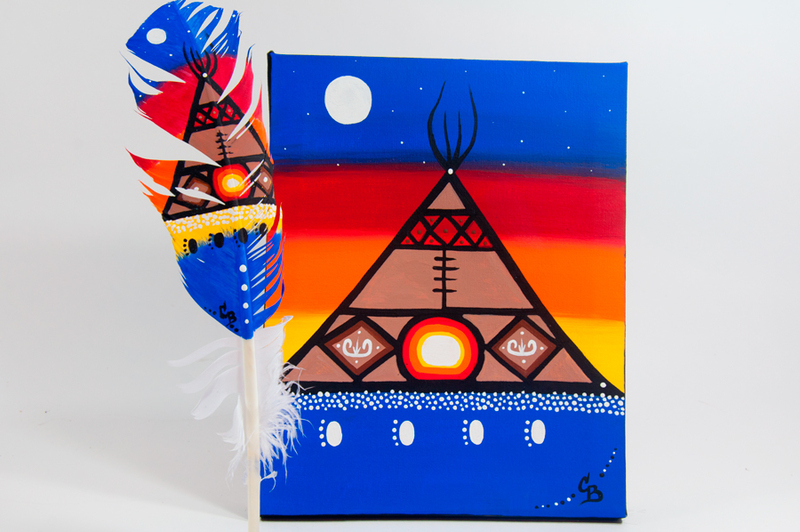 Payment can be made via e-transfer (in Canada), VISA and MasterCard. 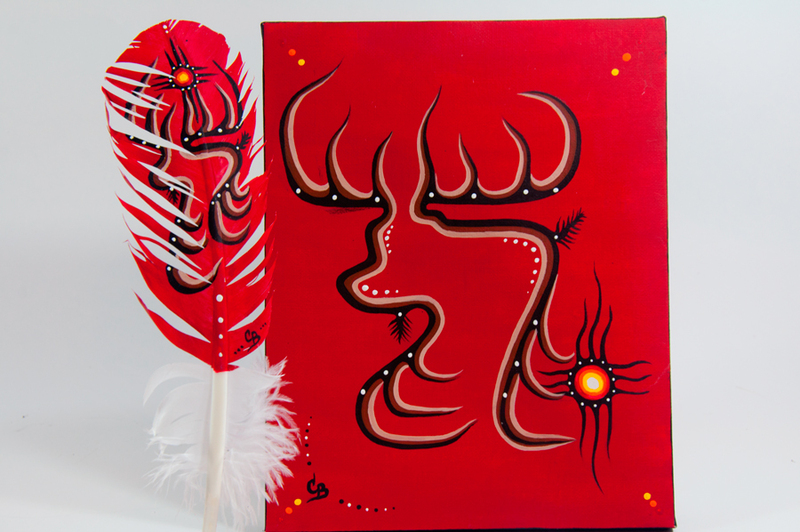 Order is shipped expedited Canada Post to both Canada and the U.S.A.